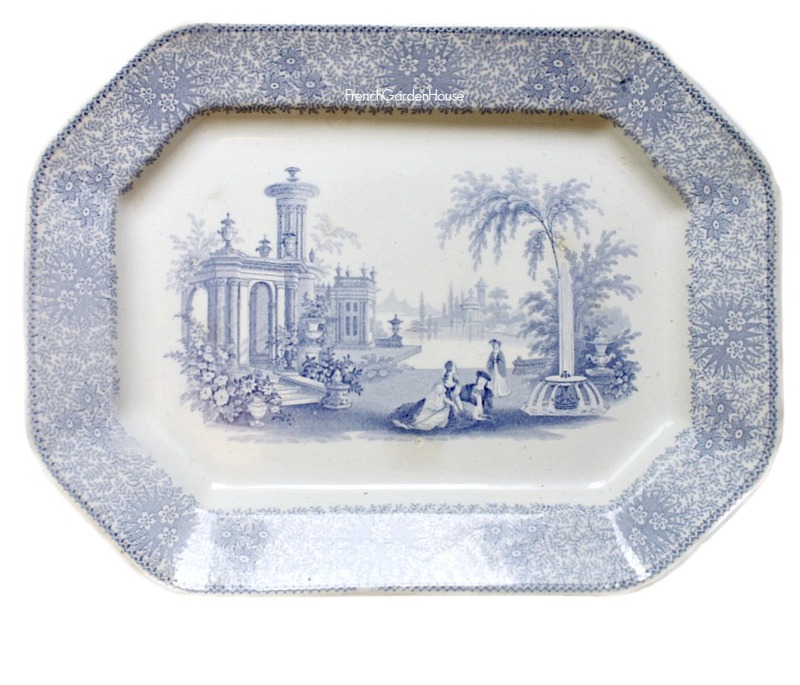 Beautiful early English Antique Transferware Platter made by William Adams & Sons of Tunstall, Stoke-on-Trent, England in 1830. 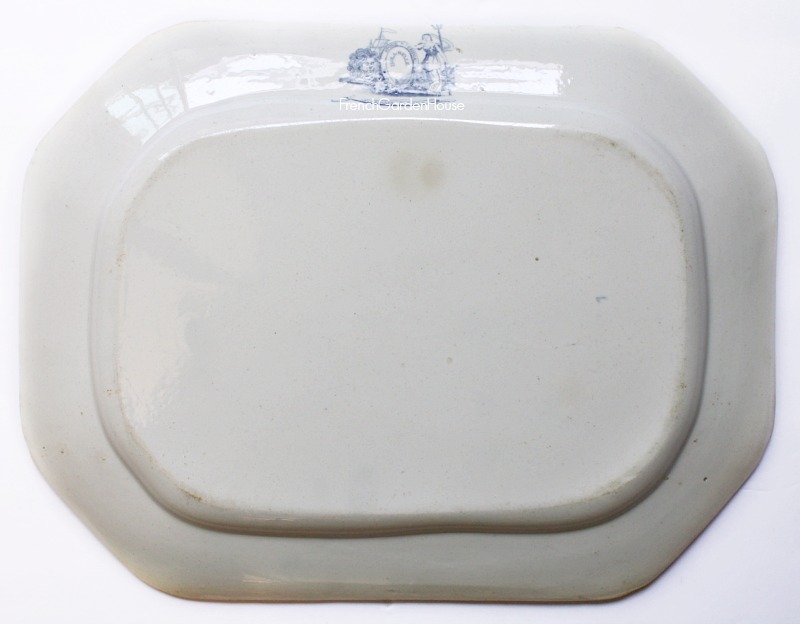 This intriguing pottery serving platter is rare to find in this pattern, Isola Belle, and the soft light blue color. The central scene is a country garden, with finely dressed ladies and gentlemen enjoying a beautiful day with their two dogs. The garden overlooks a lake or perhaps the sea, with trees, castles and mountains in the background. The eight-sided ironstone platter has a wide border with flowers and ferns. 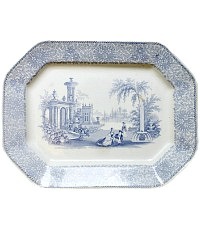 A decorative piece to add to your collection, and display in your English or French Country home! 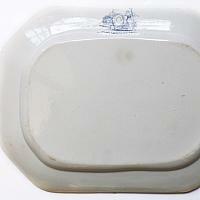 There is an edge chip on one side as shown, considering this plate is 188 years old it's a miracle!